Special is our luxury concierge and lifestyle management service. A single car or an entire fleet. An accompanying MPV – or perhaps a small convoy of executive coaches. 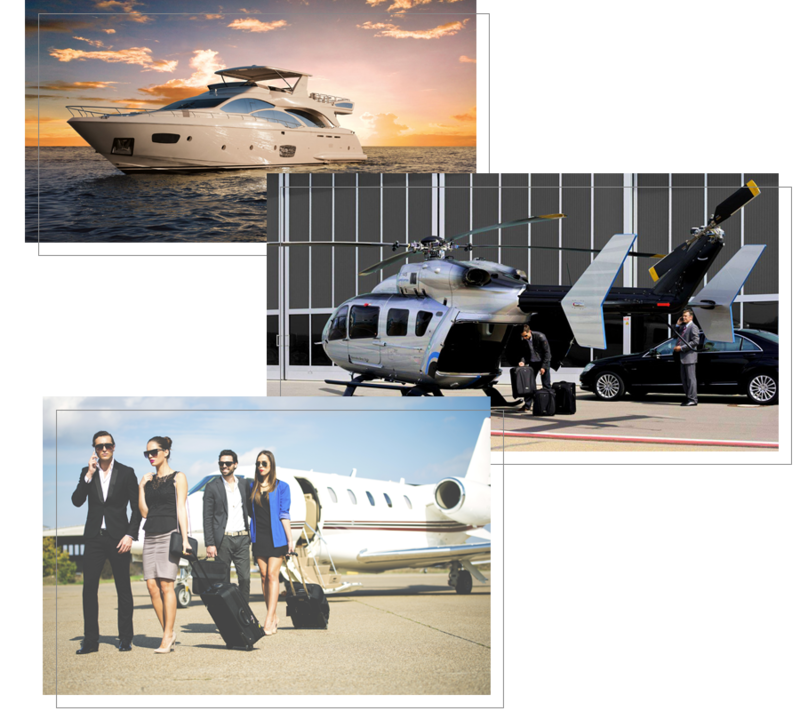 We are also used to slightly more unusual requests, such as luxury 4×4 vehicles, private planes, executive helicopters or luxury yachts. Whatever your needs, you know the same high standards of service and presentation will apply – including exceptional chauffeurs or personal. If it’s important that you have a specific vehicle, simply let us know. We are also happy to arrange cars with matching livery – or to mix and match based on your requirements. All you have to do is ask. HMTS can fly you and your potential clients or business associates to major sporting events, networking meets or wherever you wish, without the stress of transport delays taking the shine off your special day. Impress your corporate guests and conduct business your way with our flexible booking service. Romantic weekends. Christmas in the Alps. An unforgettable walk through at the Kalalau Trail at Hawaï. All you have to do is ask. From the extravagant to the downright crazy, our Luxury Concierge and Lifestyle Management Services. Our unparalleled network of contacts ensures that our clients get the very best life has to offer – no matter where they are in the world. Once you become a client, your carefully chosen Lifestyle Manager will set out to understand your unique motivations, and to use this knowledge to showcase services that you may value most. Your wishes are our demand. Finding your needed giftshop or book your favorite restaurant or theatre for us is no detail to small. Our extensive international network means our services are offered in key locations across the world. Our business and leisure team is available 24/7, throughout the year, ready and waiting to meet your every need.